Are you looking for a work injury attorney in Bergen County, NJ? 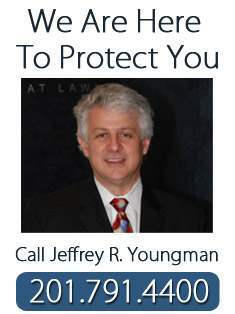 Feitlin, Youngman, Karas & Gerson have been work injury attorneys in Bergen County, NJ for more than three decades. The State of New Jersey has a workers’ compensation system that is designed to protect you if you have been injured or contracted an occupational related injury/disease. Unfortunately, the system doesn’t always function smoothly and sometimes employers refuse to provide you with medical services and benefits you may be entitled to receive under the law. 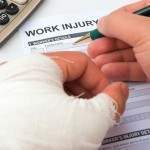 In New Jersey, if you’ve been injured on the job, your employer is obligated to pay you for the time you miss as a result of your injuries. It’s important to note, however, you are not necessarily entitled to the full amount of your regular pay. The general rule is that you are entitled to receive temporary disability benefits equal to 70 percent of your pay, up to a maximum of $855 per week in 2015 (the amount changes each year). The good news is that this amount is non-taxable. In the event you are a state employee, such as a police officer, your union contract guarantees you 100 percent of your pay for up to one year. Medical care is the other major benefit you’re entitled to receive under New Jersey law. In theory, you are supposed to be covered for all medical expenses (including co-pays and deductibles) related to your workplace injury. This care is provided under an insurance policy that your employer is obligated to maintain on behalf of its employees. The problem is that not all insurance companies or policies are equal. In fact, oftentimes we find people end up receiving inadequate medical care because the insurance company doctors are primarily interested in minimizing expense instead of focusing upon providing adequate treatment to ensure a patient’s recovery. If you have suffered from a work related injury or occupational disease, or your employer is refusing to provide you with mandated benefits, you should call us for a free consultation. We can explain to you the benefits you’re entitled to receive under New Jersey law. We will help you receive the compensation you deserve. It’s important for you to know your rights and entitlements under New Jersey’s workers’ compensation law. Don’t let your fears and uncertainties prevent you from pursuing the benefits and protections you are entitled to receive. If you sustained an injury at work, we suggest that you reach out to us to see if we can help you through these troubled times.